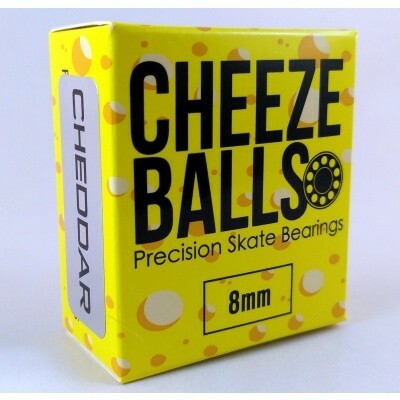 Cheezeballs Cheddar bearings, super buy for derby skating and skateboarding. 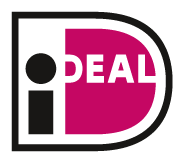 The best affordable skate bearing out there! Cheezeball Cheddars are everything you want in a steel ball bearing at an affordable price. These chrome steel bearings feature a full rustproof coating on both deep groove races with a full BRONZE cage keeping the steel balls in place. Bronze is not only lighter and naturally rustproof but also “slipperier” than the usual steel cages found in most other bearings, which translates into a faster responding and longer rolling bearing that is less prone to seizure when compared to all steel units. These are perfect for all skaters from beginner to advanced who want a good consistent and durable roll without breaking the bank. Set of 16 or8, for 8mm axles.